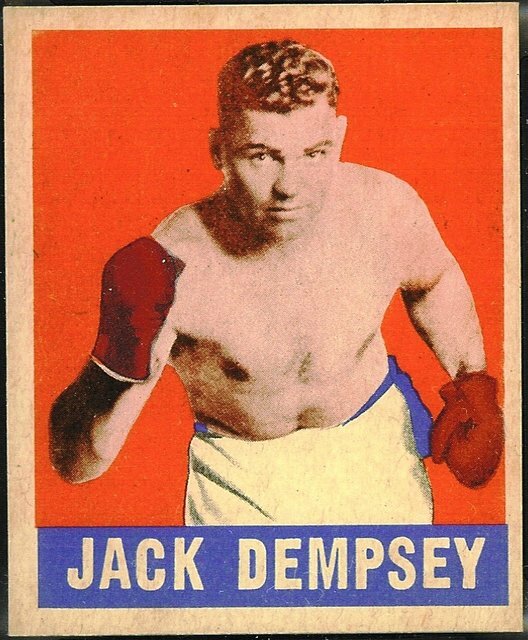 1948 Leaf Jack Dempsey. The 1948 Leaf boxing set is one of the two post-World War II boxing sets issued by a major gum manufacturer (the other is the 1951 Topps Ringside set) before 1990. It consists of 49 different cards, plus an unissued extremely rare Rocky Graziano (with fewer than ten known examples, most collectors do not even consider the Graziano to be part of the set).